Directions: The Viewing platform at Kings Park a very busy place during the day not so busy early morning. The place to view Perth City while a great place by day to view the surrounding Swan River. Kings Park is a great Place to get “lost” and wander about the whole park. If you are lucky enough to get here in spring time the wild flowers are a treat its spare battery and card time. No matter (apart from early mornings) what time you come here is a very busy place with tourists but always worth the visit. As you are looking due east sunrises can be very spectacular if you are lucky enough to get the right day i have not YET. 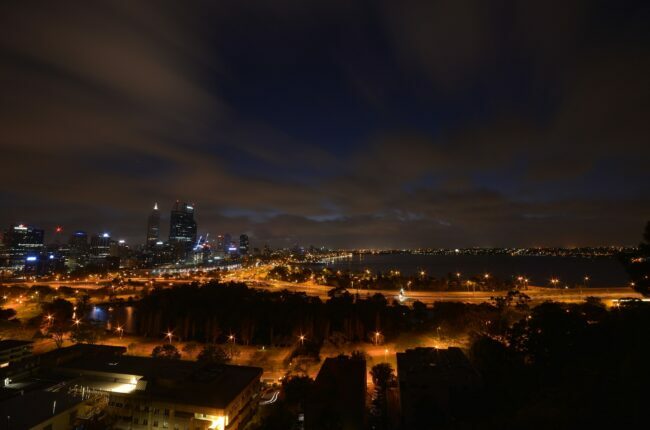 Its easy to get to as this is a very well know spot in Perth, you are right in the heart of Perth.